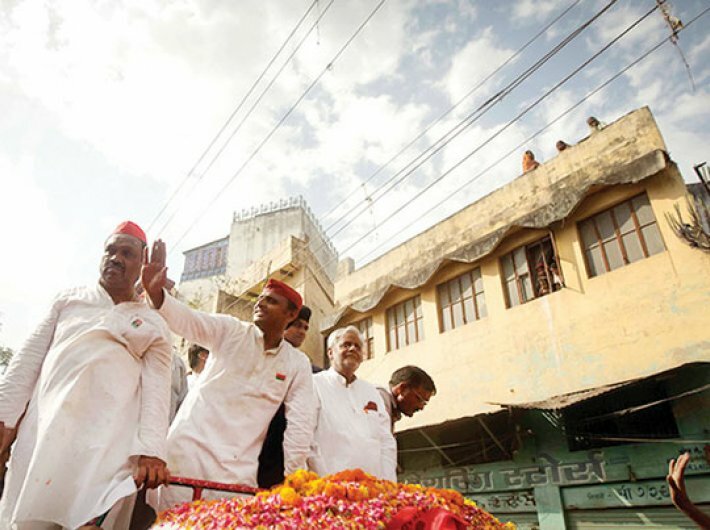 In the spring of 2012, Akhilesh Yadav was on the campaign trail to get the Samajwadi Party, of which he had been in charge for two years then, back into power in Uttar Pradesh. One day as he was leaving for Sitapur from Lucknow, his father Mulayam Singh Yadav accosted him. “Plane se (by plane),” replied the son in a matter-of-fact tone without making an eye contact with him. 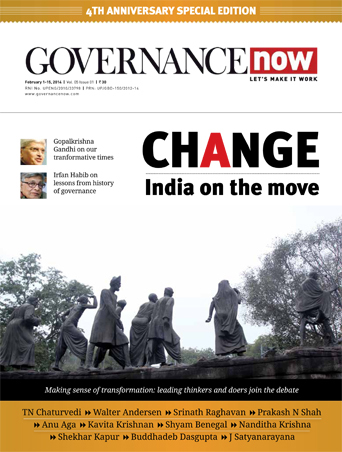 The conversation, which took place in the presence of a journalist who narrated it to me, delineates the relationship formula in one of the top power pairs in the country. Mulayam was as paranoid about his 38-year-old son’s safety as any other parent; and the son’s monosyllabic replies and the body language betrayed his respect for and submission before him. It was clear that they shared a natural bond of love and affection and also had mutual respect. Mulayam addressing his son with an honorific is a bit surprising too. “In the social milieu they come from, nobody would address youngsters with ‘aap’, which is reserved for elders and those holding authority,” said the journalist who has covered UP politics for decades. But, a convincing victory and over four years later, the relationship seems to have turned sour. The ailing 76-year-old father and the more assertive son, by now father of three children, have been seen openly squabbling for the control of the party and the government. This, ironically, comes barely months before Akhilesh seeks another term against too many odds in India’s most populous state. Though a number of conspiracy theories are floating around as reasons for the baap-beta fight, here we are trying to have a deeper understanding of the bonds and equations within the Yadav clan and its impact on the party’s image and future. Apparently, the reason for the strained relations between Akhilesh and Mulayam is that the Samajwadi Party, founded by teacher/wrestler-turned-politician Mulayam Singh Yadav from the remnants of the socialist movement 24 years ago, today resembles a family-owned corporate which is groaning under the weight of thick plots of revenge, insecurities and rivalries among the chachas, bhatijas, bhabhis, cousins and grandchildren of the Yadav clan. Some 17 close relatives of Mulayam who have been holding key positions in the government and the party over the years have today turned into power centres. Most of them can’t help but undermine chief minister Akhilesh Yadav’s authority. “This is the battle for turf control among the members of the [extended] first family,” said a party leader from western UP who has been with ‘Netaji’ – as Mulayam is popularly called – right from the inception of the party. He said the deteriorating health of the senior leader and the growing assertion of Akhilesh were worrying many in the party cadre. “Each one [in the Yadav family] is trying to secure his respective position in the succession war,” he said and claimed the presence of a ‘baharwala’ (outsider) – a common euphemism used by partymen for the recently appointed party general secretary Amar Singh – will only worsen the situation in the coming days and harm the party’s chances in the elections. Amar Singh had been thrown out of the party before the 2012 elections at Akhilesh’s insistence. The man with no mass support, who is better known for being close to business and media houses, had even floated a party, Rashtriya Lok Dal, and contested elections. All of his party’s nominees lost their deposits and Amar Singh soon became a political outcaste. A businessman from Noida, who had contested the 2012 assembly election as RLD candidate, told Governance Now that Amar Singh had not paid him the promised money for campaign expenses. “I saw that some of his close relatives were controlling the election fund and swindling it with impunity. Also, I found the man to be too arrogant as he never showed even scant respect for us and treated all his candidates as his servants.” Amar Singh, contrary to his image, had turned out to be a poor manager. Soon he folded his party. It is therefore no surprise that no Samajwadi Party worker today backs him. “He is like termite – known for working from inside as a destructive force – and his entry in the party will do us no good,” said the party leader from western UP. Singh’s entry was met with a stony silence from Akhilesh, who had for long strongly opposed the move. However, after the Netaji nominated him as SP’s general secretary, the chief minister kept mum. The reason, according to party insiders, is that Singh’s return is part of an uneasy truce that he seemed to have entered with his chachaji (uncle) Shivpal Yadav after the dramatic infighting. The ceasefire, obviously, was brokered by the Netaji. Early in September, the simmering tensions within the family had erupted in a bizarre drama. First, Akhilesh removed two ministers, Gayatri Prajapati and Raj Kishor Singh – both close to Mulayam, on allegations of financial bungling. However, Shivpal felt hurt and humiliated most when the CM removed his close confidante Deepak Singhal as chief secretary. The bureaucrat, it seems, had attended a party which Amar Singh had thrown in Delhi some weeks ago. An upset chachaji, as Akhilesh calls his uncle who had looked after him in his father’s absence in Saifai village, dialed his brother’s number in Delhi and cribbed. Netaji could see the storm gathering over his party and the family and he cut short his plans in Delhi, which included a medical consultation, and left for Lucknow immediately. Arriving in the state capital, his first order was sacking his son as head of the party and asking Shivpal Yadav to take over. Now, it was the son’s turn to retaliate angrily: next morning he removed his uncle from all the key cabinet portfolios like public works, revenue and cooperatives. It left the party out in the cold; knives were out and there were clear signs of an imminent fratricidal war breaking out. Shivpal, the youngest of the four sons of agriculturist Sughar Singh Yadav of Saifai, is no political pushover. As the youngest son in the family, he had seen his second brother Mulayam work hard for the family. He’d often seen him leaving home for studies and later to work as a teacher in a government school in order to make ends meet of the large, joint family. Mulayam was mostly out of the village – first on posting as teacher and later as a politician – and his eldest brother Rattan Singh Yadav managed the joint family. Rattan Singh, who died a few years ago, had no interest in politics. However, his grandson Tej Pratap Yadav, known by his nickname ‘Teju’, is the youngest Yadav to enter politics. (Incidentally, Teju, a Leeds University alumnus, is married to Raj Lakshmi, daughter of Bihar leader Lalu Prasad Yadav and is a member of the Lok Sabha from Mainpuri.) Old timers recall how Mulayam used to hand over all his earnings to the eldest brother who, in turn, would manage the joint family living in the ancestral house. Also living with them were Akhilesh and his mother Malti Devi, who would cover her face before visitors and was bed-ridden after the botched-up delivery of her only child till her death in 2003. Akhilesh was sent to the Dholpur Sainik School in Rajasthan and at this stage Shivpal and his wife took over the responsibility of visiting him as guardians. In fact, Mulayam’s younger brother Abhay Singh continues to live in Saifai and leads the life of a common farmer. “He can often be seen grazing his buffaloes on the common land and tending to his land,” a villager who visited him recently said. Mulayam’s first cousin has been the Samajwadi Party’s face in Delhi for years. He is known as ‘professor’ in the party and in the first-family circles as he had taught physics in Agra before joining politics. A good orator, he is serving yet another term as a Rajya Sabha member. He has always stood with Akhilesh. For example, he openly questioned Akhilesh’s removal as the party chief at a time when elections are so close. Ram Gopal, however, does not enjoy support among a section of partymen as they find him “arrogant and too bossy”. Shivpal is not a typical case of a parasite sponging off his more famous and charismatic brother; he has worked as much to build the party and the family bonds. That is why Mulayam feels his son has to work with him or the party will split. However, when he chose Akhilesh as his successor, his only biological son (he also has an adopted son, Prateek, from his second wife Sadhna Gupta’s previous marriage), Shivpal could not carry on his protests for too long. The choice was forced also by an image crisis of the party, which was known more for the use of muscle power and intimidation of weaker sections by its workers. Mulayam realised that only a fresh face could change this reputation. Those days he would throw up a question at the party meet, taking full care that Shivpal should be present: Do you think we should bring up Akhilesh? So far Akhilesh, known as ‘Tipu’ in the family, had not shown inclination for politics. Akhilesh, however, soon took charge and faced virtually no resistance from chachaji, who in fact was reconciled to losing the battle and offered to handhold him. Journalist Sunita Aron in her book, ‘Akhilesh Yadav: Winds of Change’, writes that the young leader had no interest in politics. After returning from Sydney where he did his masters in environmental engineering and marrying sweetheart Dimple, he would occasionally come to meet his father’s colleagues when they visited their house. Dutifully he would touch their feet and quickly rush out. Aron writes that after he was chosen to head the party in 2009, the late veteran socialist leader Janeshwar Mishra had given him this advice: “So far, you have been touching the feet of all the party leaders out of respect. But now you are a leader and you must behave like one. Henceforth you will not touch anyone’s feet.” A few days later, the party issued a formal order banning the obsequious tradition. Akhilesh came as a whiff of fresh air on the scene where caste often decided how a human should be treated and where feudal attitude prevailed in spite of Mulayam’s socialistic leanings. As against his father’s anti-English and anti-computer stance, this Yadav was all for modern education and technology as means of youth empowerment. He roped in young people in his party and rejuvenated it in the run-up to the 2012 election. After his astounding victory, which left pollsters red-faced, Akhilesh remained focused on getting the party rid of its ruffian image and to break the nexus of corrupt politicians and bureaucrats in a state which has one of the worst human development indices. Akhilesh’s wife Dimple is MP from Kannauj. ‘Bhabhiji’ to party members, Dimple, who paints and loves horse riding, is rated as the brightest of the next-gen Yadavs. The Yadavs have a knack of presenting a picture of a big happy family on social occasions. Dimple, who is often seen clad in cotton and handloom saris, doesn’t mind shaking a leg in the family weddings. Amar Singh had already been shown the door. Akhilesh, better educated and more exposed to the world compared to his father and uncle, was the quintessential 21st century leader who seemed to have retrieved his father’s party out of an abyss. Abhishek Yadav, who was then a student of law in a Ghaziabad college, recalls how the young chief minister’s presence had drawn him and many of his friends to ‘Samajwadi youth brigade’. He had met the CM in Lucknow two years ago and found him “good-natured, down-to-earth and a cool guy”. Abhishek, whom I met in his businessman father’s office in Noida, told me that Akhilesh looked different from traditional leaders, with whom he never felt connected. “They looked cold and distant; but the CM had made all of us [meeting him] comfortable with his two-minute opening remarks.” His focus on development and welfare schemes like distribution of 14 lakh laptops to students, proposed free mobile phones for the youth, opening a helpline for women, distributing bicycles to factory workers have impressed the young voters. Akhilesh’s popularity was soaring but so were his troubles within the party that was still controlled by elders – Netaji and chachaji. The oldies were mulling the re-entry of DP Yadav, former MP who faced charges in at least nine murder cases. His son Vikas Yadav too was convicted of killing Nitish Katara after a well-publicised trial. Akhilesh, as Samajwadi Party chief, put his foot down. He told the seniors that he would not want anyone with a bad past to be associated with the party. Again, he single-handedly opposed the merger with Quami Ekta Dal of Mukhtar Ansari – a proposal brought forth by his uncle and seconded by his father before the party’s parliamentary committee. Ansari has questionable credentials and faces trial in a number of criminal cases, but the senior Yadav believed he would bring Muslim votes to the party. Akhilesh told them point-blank that he preferred to bank on his party workers than on people like Ansari to win elections. 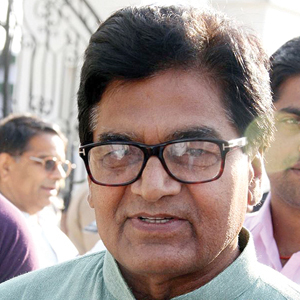 Another key figure in the family infighting is Ram Gopal Yadav, his father’s first cousin. Known as ‘professor’ in the party and in the first-family circles as he had taught physics in Agra before joining politics, Ram Gopal has been the party’s face in Delhi for years. A good orator, the professor is serving yet another term as a Rajya Sabha member. He has always stood with Akhilesh. He, for example, openly questioned Akhilesh’s removal as the party chief at a time when elections are so close. Ram Gopal, however, does not enjoy support among the partymen as they find him “arrogant and too bossy”. “Why does nobody in the party like to talk to him?” asked a Samajwadi leader and chose to answer it himself. “Because he treats them like students with low intelligence and not as peers who need support and deserve to be heard.” He is also facing retribution from the old guard in the ongoing battle as the new party chief, Shivpal Yadav, expelled four leaders considered close to him in the party. His son Akshay Yadav, MP from Firozabad, is another family member in the Samajwadi setup. Though Akhilesh and Shivpal have declared a truce following the Netaji’s emotional intervention – the chachaji has got all his portfolios back and the bhatija has been assured he would get his say in the selection of candidates for the election due by March – the professor’s supporters are yet to be rehabilitated. 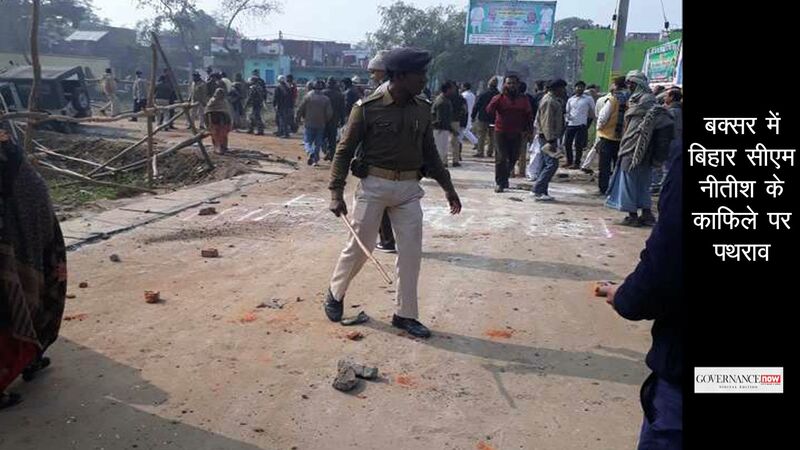 “Akhilesh was told that the four persons close to Ram Gopal were patronising land mafia and brick kiln owners engaged in unlawful activities in Saifai and hence Akhilesh has decided to keep mum on this,” said someone who is privy to the developments in the party. 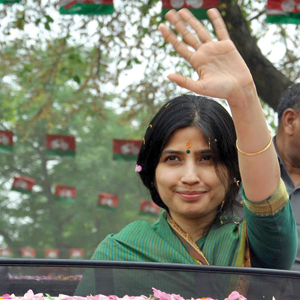 Among other members of the Yadav clan in the party is the CM’s wife Dimple Yadav, MP from Kannauj. ‘Bhabhiji’ to party members, Dimple, who paints and loves horse riding, is rated as the brightest of them all. Prateek, the younger brother, runs a gymnasium in Lucknow and has so far not shown interest in politics. However, his wife Aparna Bisht Yadav is ambitious and could be nominated as party candidate from Lucknow in the coming election. The Yadavs have the knack of presenting a picture of a big happy family on social occasions. Dimple, who is often seen clad in cotton and handloom saris, didn’t mind shaking a leg in the family weddings and youngsters would be seen touching the feet of elders on such occasions. 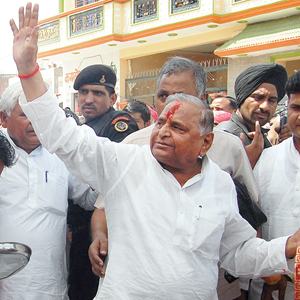 Mulayam’s larger-than-life presence unites them all. “Netaji’s word is final for them and nobody so far has had the temerity to oppose his decision,” a party leader told Governance Now. The family has developed a perfect coordination not to impinge on each other’s turf and play a supportive role to further their prospects. “If Shivpal gets a request from Kannauj for some work, he would send it to Dimple’s office and vice versa,” the leader said. They would descend as a well-knit army to help each other during elections. Will all this change with the re-entry of Amar Singh at a time when Akhilesh is trying to gain an upper hand in the party and the government? “Netaji kaan ke kachche hai (Netaji is gullible),” said one of his former political aides. 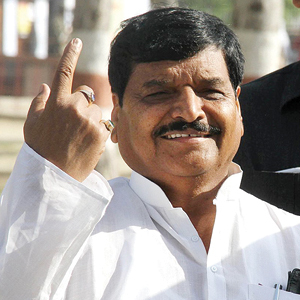 This time, he said, Shivpal had advocated Amar Singh’s re-entry. This should be surprising since they had shown dislike for each other during Amar Singh’s heydays in the party. However, the equations have changed. Sources say that Mulayam had told Akhilesh that Amar Singh would be useful for the party in the elections, especially for fund-raising. He also said that Amar Singh will not interfere in the party or the government’s functioning. On the importance of Amar Singh for Samajwadi Party, Aron writes, “When a prominent politician once asked Mulayam Singh Yadav what was the value Amar Singh brought to the Samajwadi Party, the former wrestler mumbled, “Kharcha, charcha, parcha.” He meant that Amar Singh would bring in money from his links with big businesses as well as keep the party in the news. Akhilesh is already paying the price. Prajapati, the man the high court wants to be probed for corruption, is back as minister of mines. Amar Singh is in the organisation; more importantly he has the ears of the Netaji and support of chachaji. The firing line of the battle front in the Samajwadi Party may have gone quiet for the while, but those who know the men leading it say the tumult is inevitable.